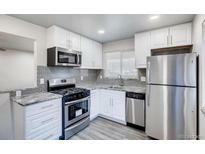 Find Denver, CO Condos for sale. View Photos, Maps and MLS Data Now! Congress Park - Building offers a communal rooftop deck with exceptional views, locked basement storage units and an assigned off-street parking spot. MLS#9957834. Keller Williams Integrity Real Estate LLC. University Park - This unit is complete and ready for move in! Visit MarionPlaceDenver.com for more information. MLS#1980697. REDT LLC. Sloans Lake - Located just blocks from historic Sloan's Lake, close to shopping, bus lines, Light Rail, and minutes to Denver. MLS#5883202. MB BELLISSIMO HOMES. Come home to Downtown Denver's SPIRE -- life is better here! MLS#2532053. COLDWELL BANKER DEVONSHIRE. Potter Highlands - Downtown Is 10 Minutes Away And Easy Access To I-25. MLS#6902923. STREETSIDE PROPERTIES. Clayton - The small fenced yard with storage shed, with electrical, is perfect for animals and entertaining. MLS#9935455. Allen & Associates Properties. Windsor Lowry - Schedule your showing today; this one won't last. MLS#1719472. 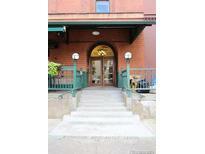 Denver Home Guru, Inc..
Lodo Downtown - Call now for your private tour! MLS#8357975. TRELORA. Cherry Creek - Beautiful landscaping with a comprehensive irrigation system. MLS#8519354. Keller Williams Integrity Real Estate LLC. Lodo Downtown - Call now for your private tour! MLS#2582632. TRELORA. Walk or ride you bike on the new pedestrian bridge connecting the Highlands, Sunnyside and Globeville neighborhoods! MLS#4321432. HomeSmart Cherry Creek. Richthofens Montclair - Originally built as a convent for St James Church, this one-of-a-kind residence is not to be missed. Come see it today! MLS#2237595. COLDWELL BANKER RESIDENTIAL 24. In the heart of thriving Jefferson Park. Completion Summer 2019 MLS#7983725. TrailRidge Realty. Please see video here https://vimeo.com/331456977. Also more details at www.46thandshoshone.com MLS#7466233. MODUS Real Estate. Lowry Field - Amazing, central location close to Lowry Town Center, Cherry Creek, Hanger 2 Dining District, shopping and more! ! MLS#8779818. Brokers Guild Classic. Barclay Towers - Don’t miss the Plaza with a beautiful community garden, gorgeous green space, flowers galore and a new gas grill kitchen for your summer enjoyment. MLS#1802562. RE/MAX NORTHWEST INC.
Beauvallon - Call Listing Agent With Any Questions. 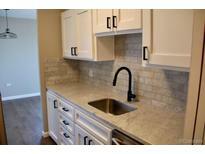 MLS#8738247. DENMON REALTY. Lohi - For the full story, please visit www.edgelohi.com or visit our presentation center at 1513 Boulder Street, Suite A. MLS#9066572. Slate Real Estate Advisors LLC. Highlands West - It was fully renovated and converted from a former school to condominiums in 1996. MLS#2283877. JESUS OROZCO. Whittier - It’s sure to be the talk of the town—you don’t want to miss it! MLS#2688206. Porchlight Real Estate Group. Rosedale - Seller pays only $62/mo through "Superior Flood include" we have no knowledge home has never had flood issues. MLS#3156993. BANYAN REAL ESTATE LLC. Uptown Denver - So don't miss this one! MLS#7160895. Keller Williams Integrity Real Estate LLC. Capitol Hill - This home has the lowest HOA in the entire complex, with all the benefits of the pool, the year-round hot tub, the gardens, 24-hour security, on-site maintenance, and concierge service. MLS#1620992. Modern Real Estate Co.
Centrally located within Stapleton, MODA Lofts offer convenient access to the best retail, dining, parks & rec-centers around Denver. MLS#6297310. LIV Sotheby's International Realty. Centrally located within Stapleton, MODA Lofts offer convenient access to the best retail, dining, parks & rec-centers around Denver. MLS#8121269. LIV Sotheby's International Realty.